Eliminating—or, significantly reducing—caffeinated coffee from your diet can dramatically improve symptoms such as dehydration, IBS, leaky gut, acne, hormonal imbalance, depression, anxiety, foggy brain, joint pain, poor circulation, energy levels, adrenal fatigue, to name a few. Why on earth should we give up coffee? With the rise in many chronic and debilitating illnesses, even autoimmune diseases, there will come a time when our diet has to change. Improvements will need to be made, to better our health, and manage the daily symptoms we are experiencing. Coffee plays hand in hand with other foods we consume throughout the day. If drinking too much makes us reach for bad sugary snacks, then it’s even more concerning. The issue is not always just the coffee we seem to enjoy but what we add to our warm cup that can be troublesome. Multiple servings of refined sugar or processed dairy products (often loaded with preservatives and artificial flavorings) can introduce all whole slew of health challenges. Too much java can also reduce our desire to eat meals. Opting for a coffee for breakfast—or, lunch—instead of a well-balanced meal, full of necessary nutrients, can lead to even more problems. At some point, our body will become depleted of beneficial vitamins and minerals to stay in optimal health. Are you sensitive to coffee? Were you aware that many people can’t even tolerate coffee? Some are allergic, and, many have a sensitivity to it just like some do to other top allergens such as gluten, soy, nuts, and dairy. Do you often grab a coffee after lunch with hopes that it will give you an energy boost? And, to your surprise, the opposite happens? Perhaps, you’re one of those people that should consider an alternative to this drink, especially in the afternoon. Most people don’t want to hear that they can’t properly absorb coffee. A morning cup, to some, is craved even more so than eating their daily slice of bread. The thought of having to eliminate coffee from their daily routine is heartbreaking. Don’t fret. There’s hope. Slowly—but surely—you will be able to get through a day without your dose of coffee. You might experience an occasional headache, and some irritability during this transition, but those symptoms will get better. There are many great alternatives on the market to ease your transition of going coffee-free. You don’t have to quit cold turkey! Instead, begin by decreasing your coffee consumption to one per day. Eventually, alternate a coffee day with a caffeinated tea day. Gradually introduce more caffeine-free options until you find the drink that best fills your coffee void. 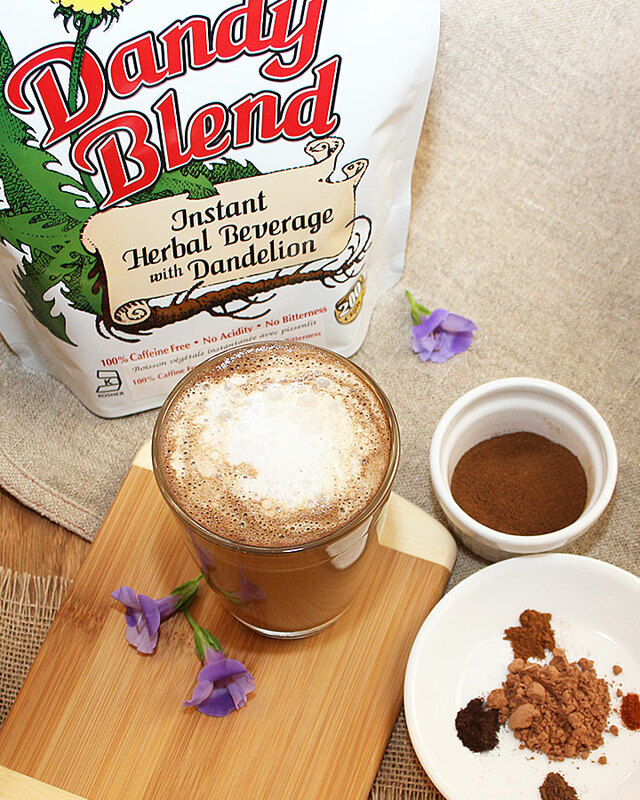 Dandy Blend – Instant herbal coffee substitute. CF, GF. Herbal Tea – Many kinds available, try organic and caffeine-free. Teechino – Caffeine-free herbal coffee. Some are NF and GF. Matcha Tea – Finely ground antioxidant-rich green tea. This powdery blend provides a sustained energy boost with a calm and focused alertness. Good Matcha is caffeinated, approximately one-third less than coffee. Can be GF, NF, DF. Golden Turmeric Milk – Non-caffeinated, healing, spicy, naturally sweet, creamy, and anti-inflammatory. Can be GF, NF, DF. Broth (Chicken/Vegetable) – Satisfying, delicious, and gut healing. Can be GF, NF, DF. CF. Warm Water – Simple and hydrating. 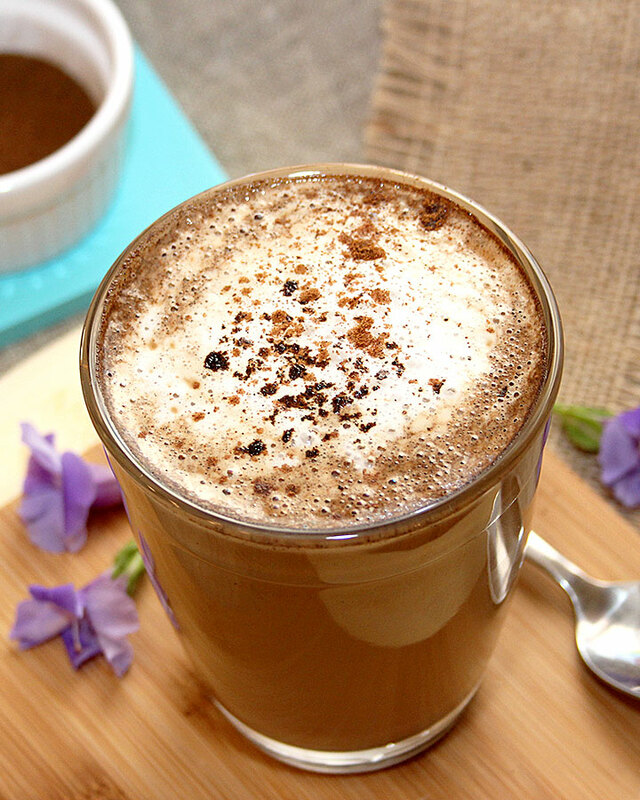 This Latte will help curb your coffee cravings. The combination of spices will warm your soul, and the creaminess of the coconut milk will convert you for good! As enjoyable without the coconut milk. In a kettle or pot, bring water to a boil. Measure out all your dry ingredients. Warm up 1/4 cup of coconut milk in the microwave for 30 seconds. Froth the coconut milk with a hand blender or hand whisk. In your favorite mug, add your dry ingredients and 1 cup of hot water (or more to your liking). Stir until well blended. 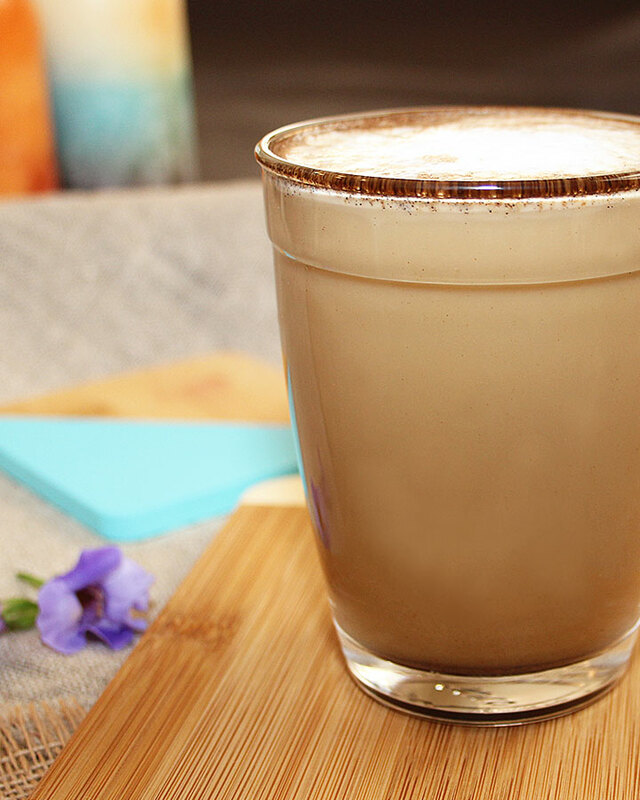 Add frothy coconut milk to create the perfect latte. Leave on top or stir it in, as desired. Sprinkle additional cinnamon or vanilla powder to taste. Enjoy! TIP: Try this if your canned coconut milk is hard. In a small sauce pan, warm up the contents of the entire can. This way you will get to enjoy both the coconut water and the cream. Froth the milk as directed, use what you need, and store the rest in a glass jar for later. In simple terms—liberation! You won’t have coffee ruling your daily routine anymore. Instead, enjoy other healthy beverages throughout the day to improve your well-being. More energy, happier self, better skin, less digestive issues, are some of the improvements you should experience over time. Don’t get me wrong. The stimulant does have its health benefits. Truthfully, it’s not for everyone, and most will never give up this ritual—even if it could make them feel better. If you are going to drink some, please make sure it’s organic and fair trade. Chantal Secours is a Culinary Nutrition Expert and creator of the amazing recipes on www.freshisreal.com. You can also read her bio below.